Having worked in the Foreign Affairs Committee for the Danish Parliament, Birgitte spent time as an Account Manager at an international tax advisory firm before joining Freshfields Bruckhaus Deringer as a corporate client paralegal. 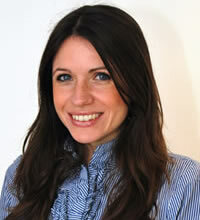 Birgitte completed her training contract at LXL and is now a fully qualified solicitor in England and Wales. Birgitte has worked on a number of energy and commodity related matters including the acquisition of various oil and gas assets and interests in Africa, Europe, the Middle East and South America and has also advised on contentious matters including expert determination and international arbitration. Birgitte also advises clients on a day to day basis on various corporate and commercial issues.